Three of our Suit Your Look bloggers teamed together to review British-made Man Gun Bear gifts, for the hard-to-buy-for, stylish man. The brand has such a great selection of items, from classy cufflinks to dapper beard combs. If you’re short of a birthday present for a male family member, look no further! As a travel blogger, I cannot highlight the importance of baggage tags enough, as so much luggage goes missing. This can make the difference between getting your bags delivered to your accommodation by taxi within 24 hours and never seeing your goods again. We all have a tendency to forget to purchase these safety measures in advance, largely falling back on a last minute purchase in the airport. Unfortunately, 90% of these tags sold in the airport are paper or card based and will often fall off the bag. This is where Man Gun Bear have upped the ante. 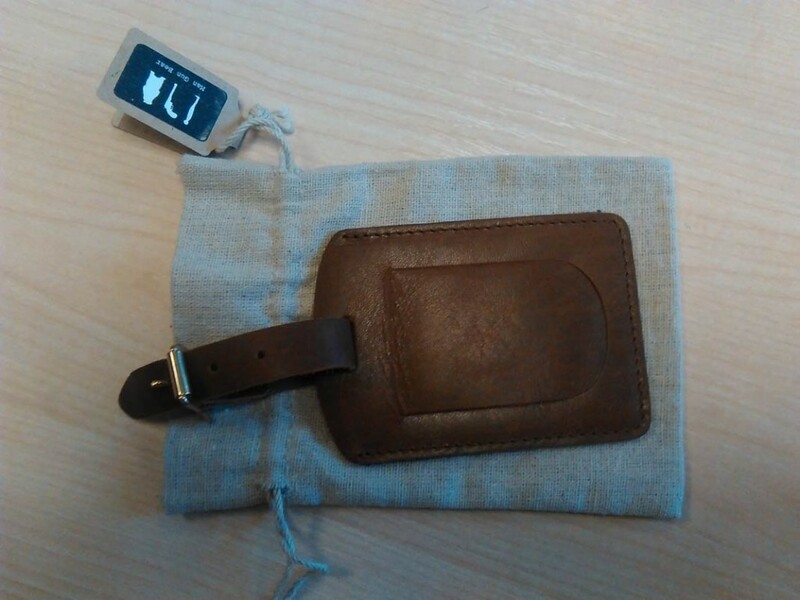 This leather ‘flap style’ tag has an adjustable leather buckle strap, allowing you to securely attach it to your baggage, without any fear of it coming loose. It also adds an element of charm to your baggage. While back when I was travelling the world I might have not cared, nowadays I seem to do a fair amount of business travelling and the way you appear plays a much more important factor. If I’m suited and booted, getting ready to meet a client, I don’t want a bright red piece of paper on a string attached to my leather holding bag; I want a sophisticated looking label that matches the rest of the look. This is also a wonder for wedding groups, as it seems weddings abroad seem to be increasing over time (I’ve already been to two weddings abroad this year, one in Croatia and one in Italy). 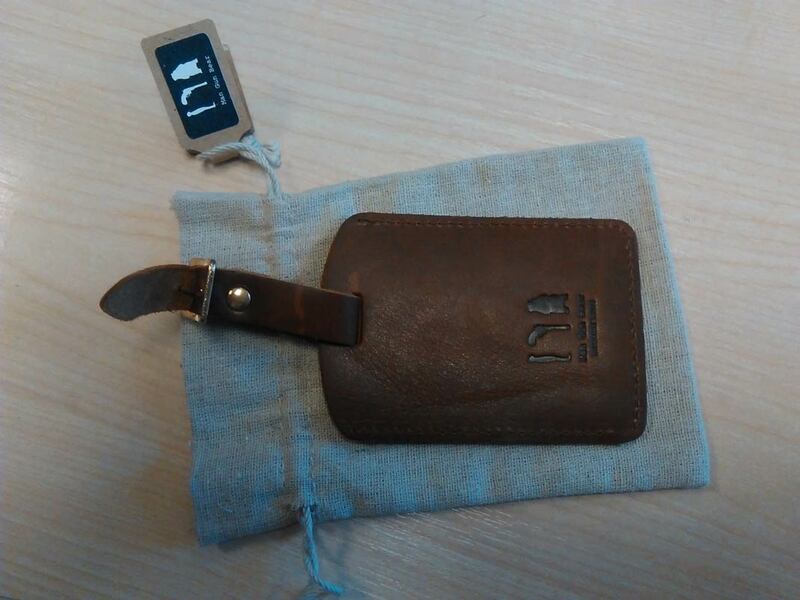 Size-wise, you’re looking at a tag which is 10cm by 7cm, so it fits snug on a bag of any size (within reason). The Man Gun Bear Stainless Steel Beard Comb is the perfect gift for the man who has everything. A stylish yet functional gift, this item shouts luxury and masculine sophistication. At the size of a credit card, you can slip it neatly into your wallet for easy-access on-the-go when your beard needs a little oomph. I brought the Beard Comb as a birthday present for my husband, who travels a lot with work and has an insanely bushy beard. 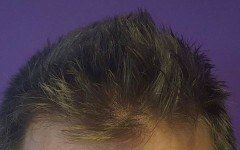 Being a typical man, the only beard-styling tool he owns is a basic trimmer. So I decided i’d buy him a shiny new comb that he can take on his travels and use before meetings, to make his hairy self look a little more presentable. The gift went down well, although there was some confusion over what the item actually was. The comb doesn’t look like a traditional beard comb, but instead displays wide, smooth, aesthetically-pleasing curves and exhibits a hint of art-deco. The marine-grade steel displays a brushed appearance but still boasts shine, and illustrates the Man Gun Bear logo on the front. The reverse can be personalised, which would be ideal for groomsman gifts, birthdays and anniversaries. 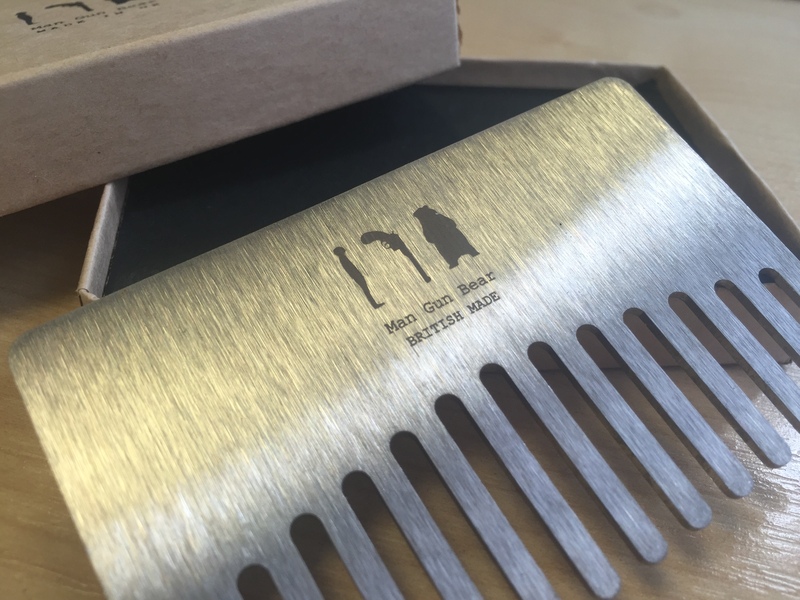 The comb comes presented in a high-quality neat brown box with the Man Gun Bear logo on the front, so your recipient will know he’s been given something unique and stylish. When I purchase a gift it’s nice to know that it is not only of high quality, but that it has been made in an environmentally friendly way. 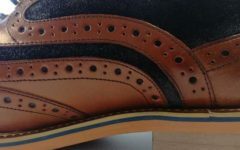 That’s why I love Man Gun Bear products – they are designed and created in the UK, using only ethically sourced materials. I feel like I have purchased luxury, without harming the earth. So all-in-all, a successful birthday gift for my husband and his wayward beard. 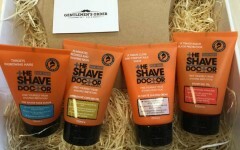 I would absolutely recommend this high-quality product as a must-have for any well-groomed bearded business man (or indeed any bearded man who is not yet well groomed)! 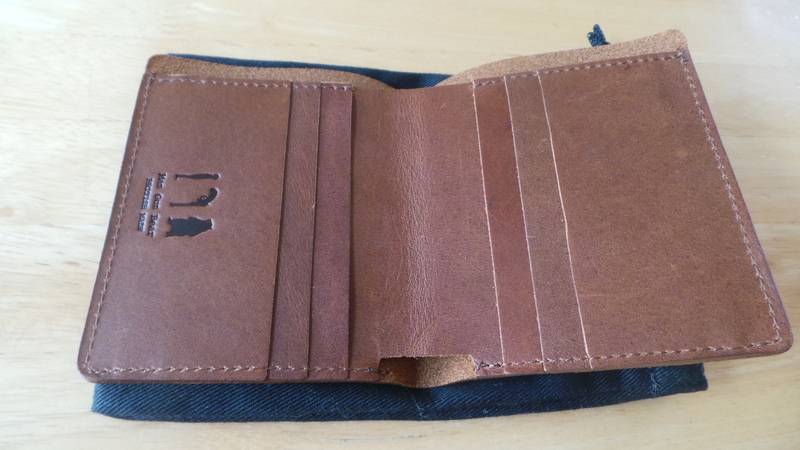 Once I’ve removed this beautifully crafted wallet from its slick black drawstring bag, I’m instantly drawn to just how sophisticated it looks. It’s smooth, sharp and absolutely perfect for the man who likes the finer things in life. Composed of six card compartments and a section for notes, this distinctive brown 100% cowhide leather piece has been created with a slim aesthetic in mind, so make sure you leave that change at home! 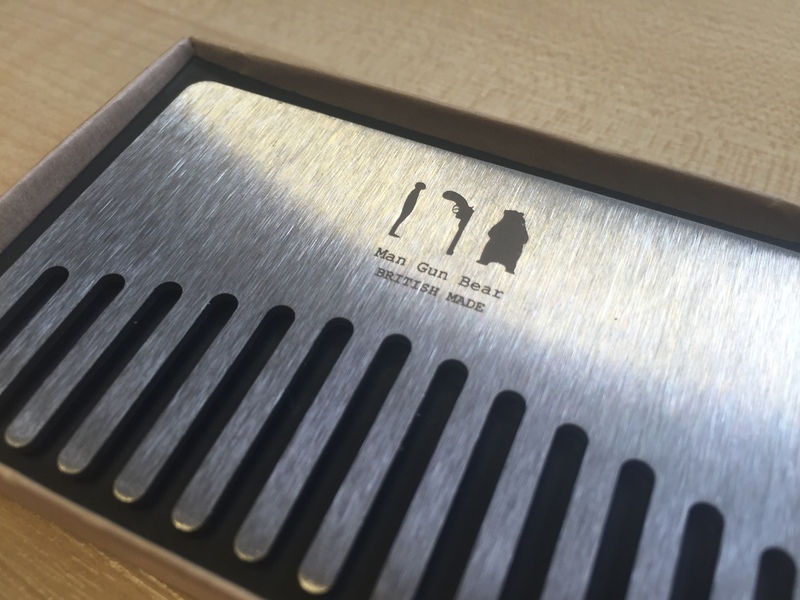 The ‘Man Gun Bear’ logo is subtly engraved on the wallet, in addition to ‘Made in Britain’, so you’re aware of its origin. This item is an ideal present for all occasions – it’s especially good for third wedding anniversaries, which traditionally focuses on the giving of leather based items. But maybe it’s not a gift for someone else and more of a present for yourself? Either way, you won’t be disappointed with this fine piece of leather craftsmanship. 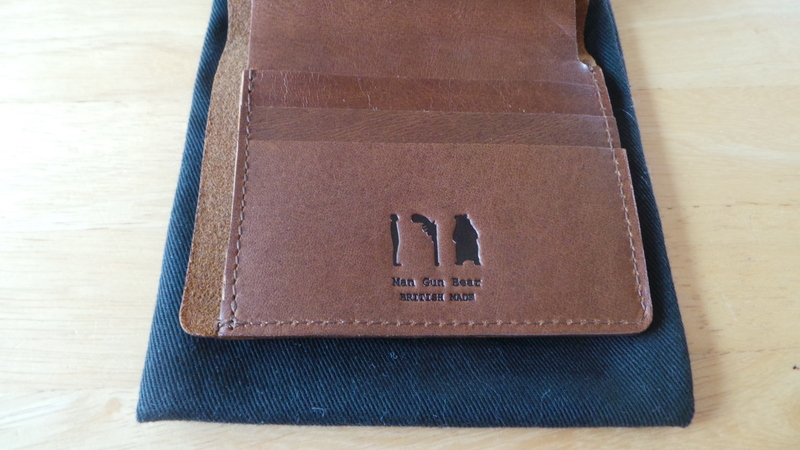 If you’re looking to add more of a personal touch to this item, then that’s no problem, as the rather brilliant folk at Man Gun Bear are able to engrave your initials (or a loved one’s) onto the wallet for just an additional £3. What’s more, each wallet has its very own serial number, which provides a true sense of authenticity and individuality, so you know that it really is one of a kind! 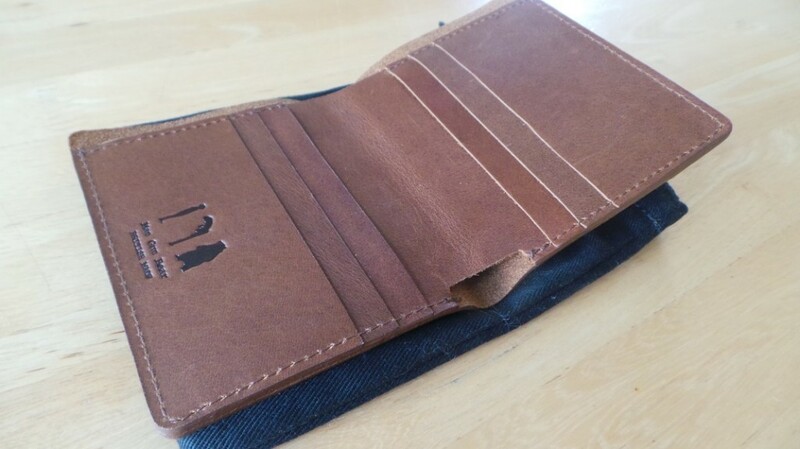 I’d definitely recommend this luxury leather bi-fold wallet by Man Gun Bear – I love the fact that it’s made right here in the UK and that the materials are ethically sourced. 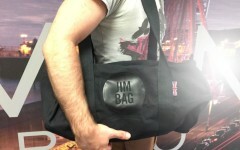 The black drawstring bag also adds the extra wow-factor, so more brownie points there for presentation. The only thing I’d say is that I feel the very striking ‘Man Gun Bear’ logo would look great on the front of the wallet as well as on the inside. Overall, this is one stylish piece that any man would be proud to have in their pocket.